Unity3D (or simply ‘Unity’) is a fully integrated development engine that provides rich out-of-the-box functionality to create games and other interactive 3D content. You use Unity to assemble your art and assets into scenes and environments; add physics; simultaneously play test and edit your game, and when ready, publish to your chosen platforms, such as desktop computers, the Web, iOS, Android, Wii, PS3 and Xbox 360. Unity’s complete toolset, intuitive workspace and rapid, productive workflows help users to drastically reduce the time, effort and cost of making games. There is incredible momentum in the Unity3D product and its community. Here is a look at Top Unity News Announcements. 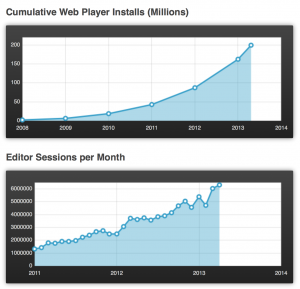 Multi-platform Deployment – Web Browsers (using the Unity WebPlayer), Desktop (Mac OSX w/ OpenGL, Windows w/ Direct3D), Mobile (iPhone, iPad, Android phones and tablets), and console (Wii, PS3 and Xbox 360). The Unity Editor emulates all your selected platforms too. The Unity3D Engine is gorgeous and performant. Unity even offers Union a way to license out your games to find an audience. Powerful Editor – Manage assets & code, drag and drop to build your scene (2D or 3D), the editor’s stage *IS* the Unity runtime (so you get high fidelity previews as you work), instant build times, see public script properties in the ID for easy viewing/editing. Flexible Asset Workflow – Within the editor you don’t create assets per se, you import them (see docs & see supported formats) from other programs (all popular formats such as Photoshop and Maya) and manage them within your scenes. When and where it is manageable, I am a huge fan of using and reusing the same project (including all source and code) for multiple deployment platforms. Unity supports this very well. Unity is the combination of a project editor, a code editor, and the run-time player. The project editor allows for creation of new projects, manipulation of 3D objects within the 3D world*. Its the glue that brings together your assets, your code and its where you performs the project builds. *Note: Another tool such as the premium Maya or the free Blender3D studio max is required to do any complex modeling and animation. It takes some time to appreciate the workflow of Unity. A developer will likely have several applications open at once while working. Unity Editor: Create your project, edit the properties of your game objects, and build your game. 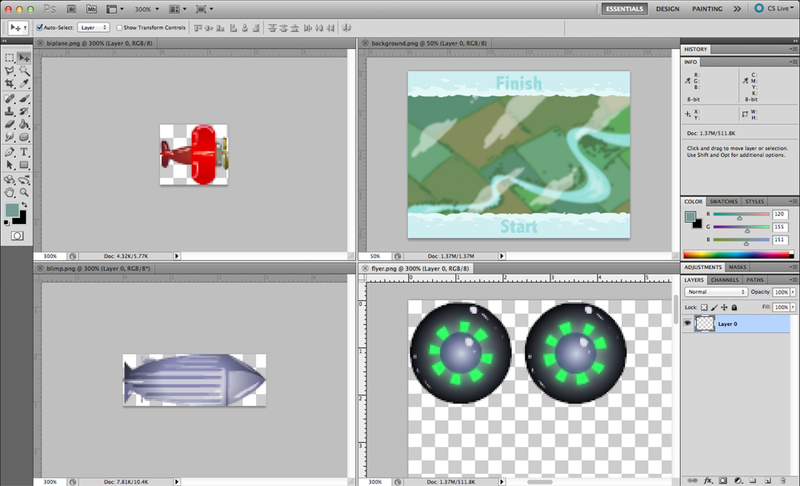 Create your assets using external tools (Photoshop shown); 2D, 3D, sound, etc… and import them into the Unity Editor. 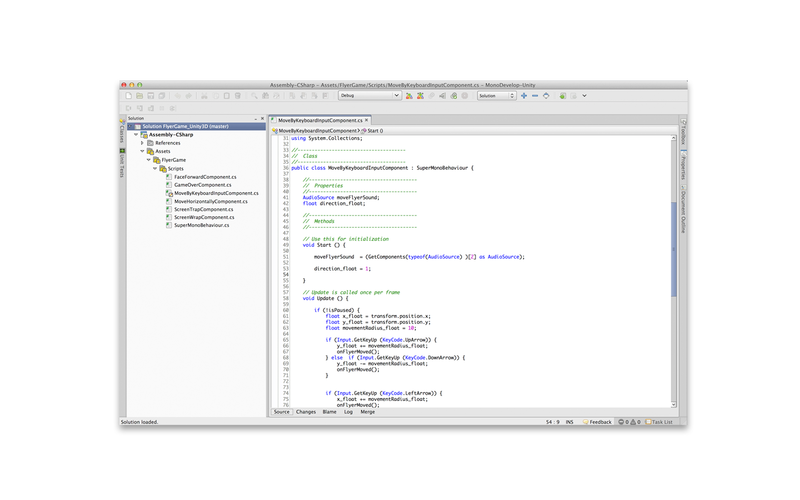 Code Editor: Unity is compatible with any text editor and comes packaged with the very capable MonoDevelop code editing tools. MonoDevelop has formatting, syntax highlighting, intellisense, and autocomplete. Asset Store – Within the IDE itself you can shop online to find assets of any type (2D, 3D, sounds, etc…) as well as ‘packages’ which are groups of reusable code which enable new C# functionality as well as add completely new UI* and tools within the Unity Editor authoring environment too. The organization of the assets is great. I get the feeling (so far) that the best way to find packages is through the store (vs Googling, downloading, & importing – which is also possible). However the store is dreadfully slow and buggy, I assume because it is just a clunky webpage loaded through the Unity IDE. Note: The extensibility within the Unity Editor itself is inspiring. No other game development environment has 3rd party free and premium tools which actually change how the IDE itself functions. There is a hierarchy to everything in Unity; Project -> Scene -> GameObject -> Component -> Properties. Typically, when we talk about ‘things’ in our game we are talking about a specific ‘GameObject’ in a ‘Scene’. An empty game object contains just a ‘transform’ component (which is required). Using menu GameObject -> Create Empty you can make one and add it to the scene. Component: Created from MonoBehaviour, which is the base class every script derives from. Much of your code goes here. It is impossible to create a GameObject in Unity without a Transform Component. The Transform Component is one of the most important Components, since all of the GameObject’s Transform properties are enabled by its use of this Component. 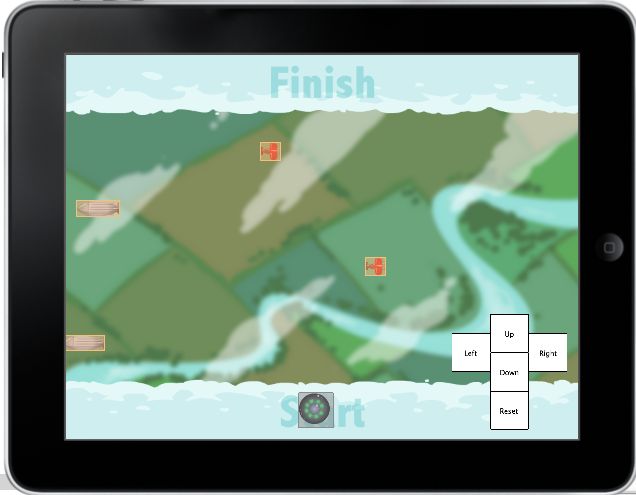 It defines the GameObject’s position, rotation, and scale in the game world/Scene View. If a GameObject did not have a Transform Component, it would be nothing more than some information in the computer’s memory. It effectively would not exist in the world. The Transform Component also enables a concept called Parenting, which is utilized through the Unity Editor and is a critical part of working with GameObjects. To learn more about the Transform Component and Parenting, read the Transform Component Reference page. You can see here (Figure 6.) 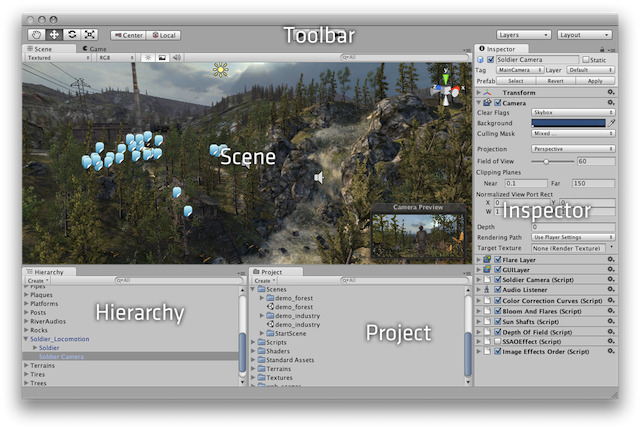 how it is represented in the Scene Window, the Hierarchy Window, and the Inspector Window. You can see the Transform component which includes position and other properties. Also note the inviting ‘Add Component’ button. GameObjects exist so you can add components to them. The components do most of the work. Any class instance (of any type) can access one of the active GameObjects in the hierarchy via GameObject.FindObjectOfType( typeof ( MyGameObject ) ). For example your ScoreBoard class instance can access all the Enemy class instances to display a “Enemies: 5/10” display. As mentioned each component contains properties. These are the granular values such as Mass, Drag, and Use Gravity (See Figure 8.) that affect how a component behaves. Not every variable within a component is editable, but all editable ones are exposed as properties through the inspector. At author-time and even at run-time you can edit these values. Very friendly for iterative development. 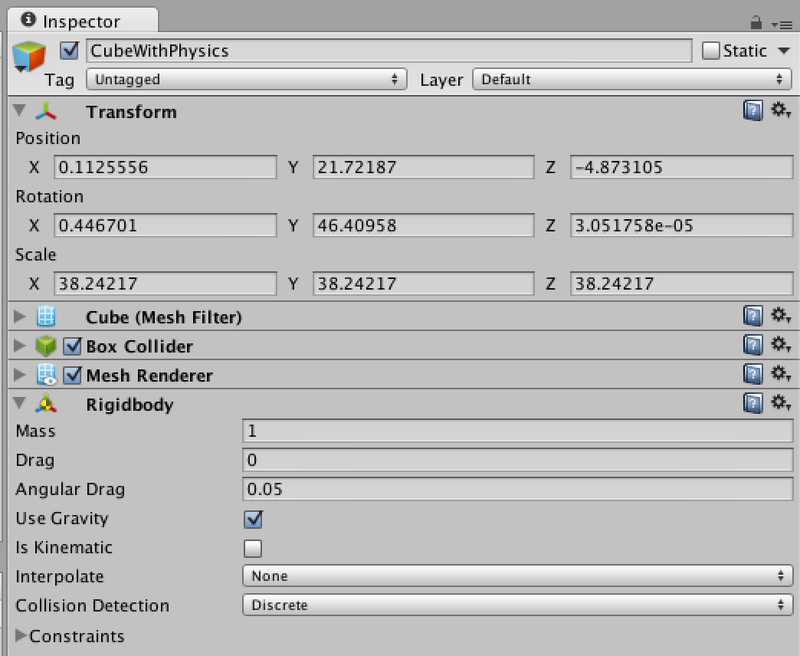 One of the most shockingly cool features of Unity is that the Editor tool itself is completely scriptable. Want a different icon to float over a particular GameObject in the Scene window? Script it! Want a property editable in the Inspector window? Script it! Want your custom components in main menu? Script it! Want an entirely custom window (e.g. a home-made texture painting program)? Script it! Everything scriptable about the Unity experience can be shared between your projects and with other developers (free or premium cost). Unity’s complexity may have you scratching your head as you get started (and for years to come). It is a very deep and powerful tool. Here are some quick answers to some puzzling ‘gotchas’. Only For The Third Dimension (3D)? 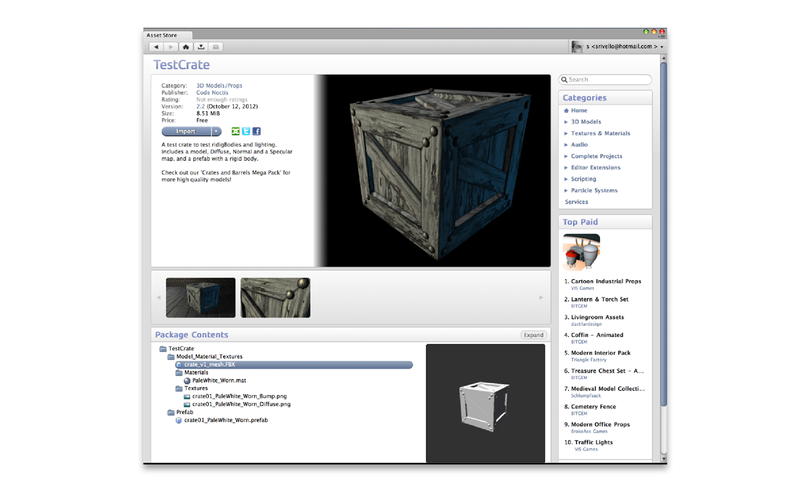 Unity3D, as its name suggests is a 3D-enabled IDE to create content in a 3D-enabled runtime. There is no option to NOT render your project in 3D. There are always x (width), y (height), and z (depth) to the positioning of every asset in your project. However, this does not mean you can’t create 2D gaming. By setting your camera’s perspective to Orthogonal, the camera will ‘render objects uniformly, with no sense of perspective’. Lock the z (depth) of every GameObject and WOW, now you have a 2D game running in a 3D engine. While this may sounds counter-intuitive or inefficient, it is not. This is the same way many 2D games are created on other platforms too. Note: Any developers hoping to do 2D should strongly consider 3rd party Unity packages to assist the process. There is MUCH to learn and the tools are very helpful to both fill in the knowledge gaps and provide tools which make development much faster. One of the most popular recommendations for 2D in Unity is called 2DToolkit. Probably the largest single source of confusion during your first day of unity is that you can EDIT your source while the project is PLAYING. There are 3 play controls in the IDE (and via the edit menu); play, pause, and step. Click play to play and click pause to pause. The trick is that WHILE playing you can still use the IDE; you can drag things into and out of the live scene, you can move the camera, you can edit code, you can change assets, and more! This is very powerful, HOWEVER, once you click pause all of your changes are lost. So be sure you click PAUSE before you return to edit your scene. Obviously this feature is very powerful, you can tweak settings in your live scene without needing to pause/play again. Just be careful. With the power of Unity there is A LOT to learn. Luckily the editor and the language features are intuitive and there are ample tutorials and sample projects to get started. Still, it is intimidating. Prefabs are a collection of GameObjects (e.g. a 3D Mesh of your hero character) & Components (e.g. one unit of code that helps accept keyboard input to move your hero character) that can be re-used in your scenes. Several identical objects can be created from a single Prefab, called instancing. Take trees for example. Creating a tree Prefab will allow you to instance several identical trees and place them in your scene. Because the trees are all linked to the Prefab, any changes that are made to the Prefab will automatically be applied to all tree instances. Assets may be created by you or your team or downloaded for free or for cost within the app store within the IDE. 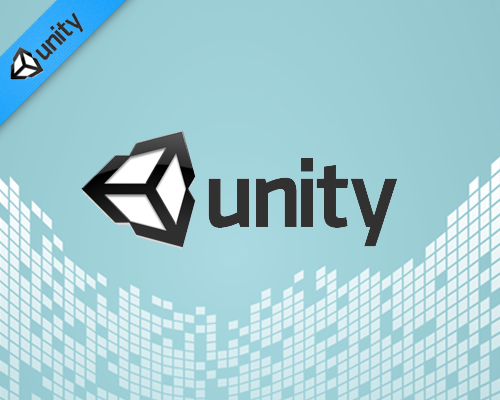 Unity’s Asset Store is home to a growing library of free and commercial assets created both by Unity Technologies and also members of the community. A wide variety of assets is available, covering everything from textures, models and animations to whole project examples, tutorials and Editor extensions. The assets are accessed from a simple interface built into the Unity Editor and are downloaded and imported directly into your project. Download The IDE – Unity3D and install it. Its free. There is also a pay version with many (non-essential) additional features. Review My Sample Project Code – (See Members Resources below). To learn Unity3D, I created several simple, but complete games. I include one here to help you learn too. I used assets and game logic from “FlyerGame”, a game that I have recoded many, many times using game frameworks. The HD Video Screencast and source assets are available (See ‘Member Resources’ below). The C# language – is AMAZING. I’m constantly figuring out new language features and powerful new ways to solve old problems. The language speed is great. The MonoDevelop code editor is very strong. The graphics – and sound-performance is stunning. The quality of the output of desktop games from Unity is incredible when compared to any casual-game development platforms yet obviously less-so when compared to professional-grade commercial gaming platforms such as Unreal Engine and CryEngine. Ease of development – considering how much you can do with Unity (huge 3D worlds for desktop vs simple 2D mobile games) it is easy to use. The Unity Editor is also very strong. Every game requires 1 or more scenes. That makes sense. Each scene requires at least one object inside – typically many. I still feel more comfortable if I could just bind a script to the scene (with no objects) and completely script the experience. Perhaps with time I’ll change my mind on that. Documentation – The Unity3D website, its documentation and its help section are all FANTASTIC. At the time of this article 5 of the 9 ‘learning modules’ have complete code and HD video. There is also one complete game project with 60-70% coverage so far with step-by-step tutorials. This is all new since Unity 4.x. NOTE: Source-code is already available for download. However, videos are NOT yet available. I’m now not certain where you are getting your information, however fantastic subject. I needs to spend a whilst learning a lot more or figuring out much more. Thank you for magnificent information I was looking for this info for my mission. A lot of of what you point out is supprisingly appropriate and which makes me ponder why I had not looked at this in this light previously. Your piece really did turn the light on for me personally as far as this problem goes. Nonetheless there is actually one aspect I am not truly as well comfy with and whilst I make an work to reconcile that with the actual primary idea of your place, allow me observe what all of the rest of the guests have to say.Extremely nicely done. Basically desired to mention I am just delighted that i stumbled onto your site!. Thanks a lot! It is definitely an remarkable web site!. Great internet sitewebsite! It looks really professional! Maintain the good work! Hmm it seems like your blog ate my first comment (it was extremely long) so I guess I’ll just sum it up what I submitted and say, I’m thoroughly enjoying your blog. I too am an aspiring blog blogger but I’m still new to the whole thing. Do you have any recommendations for first-time blog writers? I’d definitely appreciate it. These look so good, thanks for the step by step! Bronx, placed solar systems on 21 of the 40 rental buildings the company owns.